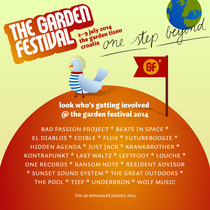 The Garden Festival returns for its 9th year to Tisno on the Dalmatian coastline between 2-9 July 2014, uniting music lovers, festival friends and holiday seekers from across the world. With three stages, twice daily Argonaughty and Arbiana boat parties and the fully open air Barbarella’s Discotheque, the setting is possibly a playground for those seeking escape and sanctuary from normality. The site features a wide range of accommodation options, with the coastal village of Tisno offering further villas, apartments, hotels and a wide range of food and drink, with islands, national parks and historic cities all close by. And with an ever-expanding family of partners and crews, The Garden Festival announced who will be taking over the Argonaughty, Arbiana and Barbarella’s in July. Bad Passion Project, Beats In Space, Crazy P vs El Diablos, Edible, Flux, Futureboogie, Hidden Agenda, Just Jack, Krankbrother, Kontrapunkt, Last Waltz, Leftfoot, Louche, One Records, Ransom Note, Resident Advisor, Sunset Sound System, The Great Outdoors, The Pool, Tief, Underbron and Wolf Music will be sound-tracking the days, nights and sunrises. 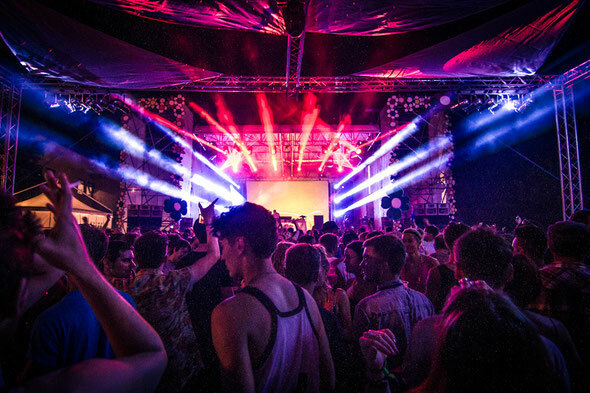 The secret island party also returns in 2014, and the first round of guest DJs and live acts will be announced in January.